Mackey examines the popular belief among scholars of his day that the rites of Freemasonry are remnants of ancient Druids ceremonies, or that at the very least the ceremonies of the two share a common origin, such as the pagan mysteries, travelling Buddhists or perhaps the Phoenicians. In doing so, he gives an excellent history lesson on who the Druids were and what their initiation ceremonies were like. 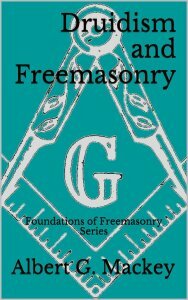 Whether the modern Freemasons choose to subscribe to this belief or not, he will likely notice some compelling similarities, which may be difficult to explain away; although, it becomes evident that Mackey himself, succeeds at this.